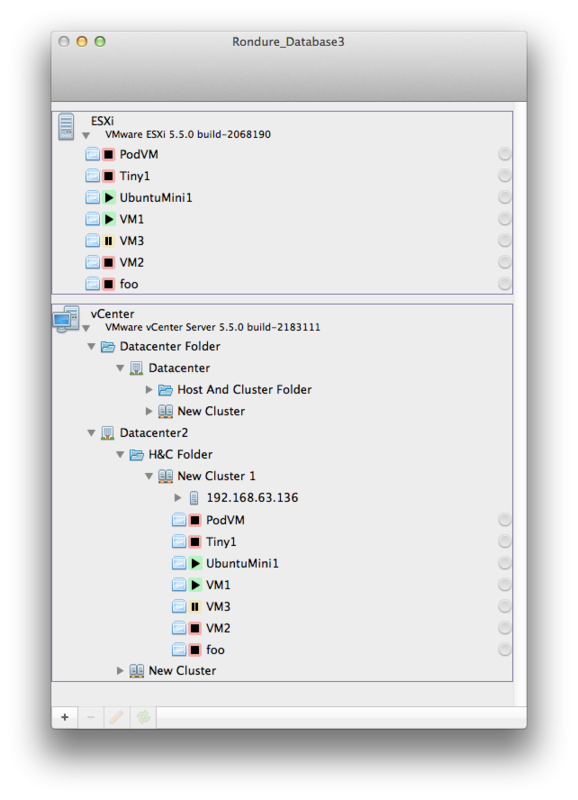 Rondure™ is a native OS X application for connecting to VMware vSphere systems, including both ESXi and vCenter Server. Our initial release offers basic connectivity, viewing of inventory, VM status information (updated dynamically as the inventory and statuses change), and accessing virtual machine consoles (requires VMware Remote Console). Basic monitoring and viewing capabilities will remain free, while functions that involve making changes will be part of the premium feature set, which will require paid annual subscription based licenses to use. Copyright © 1996-2017 Park Bench Software, LLC. All rights reserved.